As a self-published author, you might find it necessary to revise books you’ve already self-published. Maybe you discovered typos and grammatical errors that slipped by you or your proofreader. Or perhaps negative reviews pointed out story flaws that need to be corrected. Constructive critiques might even make it clear that heavy editing of extraneous backstory is warranted. Step 1. Determine if your changes are important or extensive enough to merit a relaunch. If you’re merely correcting grammar, spelling, and punctuation errors, you might not want to call attention to the fact that you neglected to have the book proofread properly in the first place. But if you’ve added content—or removed excess!—those are changes that warrant a relaunch. Step 2. Create text that explains to readers (tactfully) why your revised edition is better. This will be your steering statement for the relaunch of your book. 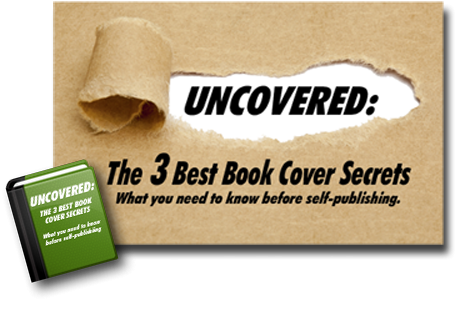 Consider including “bonus” material such as a sample chapter from an upcoming novel. And remember to accentuate the positive! Don’t talk about how your original book was full of mistakes or too long-winded—instead, focus on the fact that you’ve added a bonus sneak peek, included a reading group guide, or made the story more fast-paced and action-packed (aka tightened the plot). Step 3. Decide if you want new cover art to grab your readers’ attention. Although the decision to change your book’s cover should not be made lightly, there are some very good reasons to do so. Maybe the original cover doesn’t adequately express the story or meet genre expectations—or perhaps you want to upgrade to a professionally designed cover. New cover art can also signal a new edition—and a new edition is a great reason for a relaunch! Step 4. Set a date for the book’s relaunch, and make a plan. If the revised version merits a party, choose whether you want the event to take place online or in person (or maybe both!) and make the arrangements well ahead of time. And while you’re celebrating your book’s makeover, you might consider putting in a plug for your next book as well! Keep in mind that if your changes have been extensive, your book might need a new ISBN. For example, if you’re simply fixing grammar and punctuation mistakes, the new version is considered a reprint and won’t require a different ISBN. But if the new version of your self-published book contains major edits or added features such as an appendix or new chapter, then you should give the new edition a new ISBN. Question: What other things should a writer consider before relaunching an already self-published book? This is perfect timing! I am re-launching my first children’s book, The Lilac Princess, next weekend. I am taking it back from the vanity press and that meant I needed new cover art. It’s still the same great story though. I did need a new ISBN and I LOVE my new cover! So, I’m excited about bringing it out a second time and hope it makes a splash. I am doing a Facebook Party Event to re-launch it.